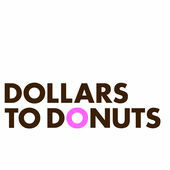 Steve Portigal: Well Carol, thanks for being on Dollars to Donuts. Carol Rossi: Thanks Steve, thanks for including me. Steve: Maybe I’ll ask you the first question, which is always my favorite first question just to go broad and have you tell us about where you work and what you do. Carol: Sure. I work at Edmunds.com and I manage our user experience research team. We focus mostly on qualitative research and we work really closely with the quantitative researchers and marketing, analytics, other people in the organization that do research. Steve: Is analytics different than quantitative research? Carol: Yeah, I guess I’m making a distinction between site analytics and quantitative research, which includes large scale surveys–like we have ForeSee running on the site, which is like the voice of the customer tool, and other surveys that we send out to our customers. Steve: And that’s a separate team from the analytics team? Carol: Yeah. That team is run by my colleague, Michelle Shotts, and we’re kind of joined at the hip. We sit next to each other, we work together all the time, and we both report to the VP of user experience, Jackie Remus. The analytics team is in a separate area of the company. We work really closely together but they don’t organizationally report up the same way we do. Steve: Okay, that makes sense. What’s your history with Edmunds.com? Carol: Oh my gosh… I’ve been here for about four and a half years and I was brought in actually to establish some research function here that didn’t exist in any formal way before that. There had been people, maybe more junior researchers here, maybe one or two at a time, and they would do usability studies or a survey occasionally, but there hadn’t been any formal attention to collecting and understanding customer needs and keeping a pulse on the experience on the site and measuring it on a regular basis. Steve: Do you remember what those conversations were like when you were trying to get the lay of the land and talk to them about what you would do in that role? From there it was almost obvious that we needed to just start with a combination of big scale personas, brand perception research, all the way down to regular usability studies and interviews with customers. I just laid out this eighteen-month road map to get us started. The company had just decided to move in a direction of design thinking and had hired some people to come in and train a lot of the company on really basic design thinking skills. We had like thirty-five people running around the country interviewing all these people, came back into the room and did our clustering and kind of proudly, together, presented the first set of personas that gave everybody a way to at least start thinking about customers as people and in terms of the things that are important to them instead of the things we might think are important to them. Steve: I’ve neglected to ask you at this point what kind of business Edmunds.com is. Carol: We are a third-party auto website. The company is almost fifty-years-old and it’s been a publisher–first, we published a book with car prices and then we had the first third-party auto website in I’m going to say 1995. We were really focused as a company on being experts and we still have this amazing editorial team of professional writers and people that keep cars for a long time and review them over months and years, so we can really write intelligently about what it’s like to own the car. But anyway, it was traditionally a publisher and so there was this very strong kind of “We are the experts” mindset, and I think was what started to shift in 2009-ish to 2010, when I was brought in, to think more about what customers need and how we can give them more of what they need instead of thinking that we understand that already. Steve: In that personas project where you had thirty-five people out and about doing research, were you looking at car buyers? Carol: Yeah, because we didn’t know exactly where we wanted to target, so we literally did a panel recruit in various cities and got people who either said that they were in the market to buy a car or had recently bought a car. I can’t remember the exact parameters, but it was probably something like “Had bought a car with six months and intended to buy one within three,” something like that. So, we got people that were pretty close to the actual purchase and collected their stories. Steve: And that’s the focus for much of the research that you’re doing, is people having some relationship with the purchase? Carol: Yeah. Obviously as we’ve learned more over the last few years, it’s become more and more specific and tailored and focused on certain types of buyers and all of that. As we’ve matured, our understanding of our customers–that original set of personas–has been replaced, so we have a much more sophisticated understanding of shoppers and who’s on Edmunds. Of course, we’re always learning but we’re in much better shape to target better. But we’re still generally focused around people actually making a purchase, and part of that is that the business of the company has shifted over the last couple of years and we’re much more focused on connecting car shoppers with dealers now than we were four years ago. Steve: That’s a really specific use case or a situation that you’re looking to talk to people in. Have you found ways to deal with that? Carol: Yeah, it is very specific. I think we’ve learned a few things and we’ve kind of evolved our thinking in terms of how we can find the best people. I think one thing for sure that we’ve done is that towards the end of last year, Michelle, who’s my research partner and who does the quantitative stuff, and some people from the analytics team, did a really fabulous analysis of our site users to understand who gives us the most benefit. So, now we’re actually focusing on them and we’re actually recruiting people that have used Edmunds for whom we have contact info as our primary market. Right now, our focus has been a bit more on them. We’ve also realized that we can’t go out and say “Do you intend to buy a car within a month” because they’ll say “Yeah,” because they may intend to but then something changes, somebody loses a job or the parent gets sick and they have to take time away to do that. So, there are these things that prevent that from happening or, for example, we ran a study last quarter and this guy said he intended to buy within a couple of months, he was looking at a couple of cars, and went out for a test drive and ended up buying a car. It can be challenging to pinpoint the exact moment of purchase, but we’ve got some ways to either be realistic about what we can get or target people that are on our site because we know a little bit more about their potential behavior. Steve: That sounds like it’s the product of years of working on this and refining it. Steve: I guess that’s how you learn most things–trial and error. Steve: Often the kind of qualitative research that we do gets split into generative versus evaluative. I don’t know if that’s the right framework for you, but I wonder how you characterize the kinds of ways that the research you’re doing is supporting other parts of the organization. Carol: Yeah, I think that is a way that we might characterize it. We’ve tried to be very responsive to the needs of the organization and we’ve been asked to be on both sides of that. For example, a year ago this time, we were asked to do pretty regular usability benchmarking and focus on the more evaluative piece. At this point, in the last six months, we’ve been working really hard to get ahead of the product team and use an integrated research approach so all of us are starting to come together in a more formal way–the marketing team that’s doing research, the analytics team, the quant./qual. on our team, customer service, because they’re getting a lot of feedback, and try to drive product changes and drive new business initiatives through research by answering some very specific questions. It’s actually a really exciting moment because we’re getting more and more ahead of the product team. It’s pretty cool. Steve: Can you point to anything as influencing that shift? Carol: That’s a good question. I think there was executive recognition that we could be doing things a little bit differently in a way that could help us get ahead of the competition. I’m not sure if there’s a specific root cause. Steve: When you describe the shift in where the idea comes from, what the product opportunities are, is there a risk of something like that being a political issue? By that I mean is something being taken away from someone in favor of this more integrated process? Carol: You mean being taken away from somebody else who was potentially driving that? Steve: Yeah. From the outside, I have the meanest, smallest narrative in my head that “Product people who reported to so-and-so used to make decisions about things and they would dictate what was getting made, but now they’ve lost that power.” Again, it’s a very negative characterization, but I wonder, how does that manifest itself inside your teams? Carol: I neglected to say that as part of this integrated research team, we have product people and designers involved. In the past two quarters, we’ve spent one quarter each doing an ethnography project–we’re in the middle of one right now–where I’m paired with a product person or two and a designer, and we’re running the whole deal together. We take this business question that’s been given to us, we figure out some of the logistics–my team or some other people helping will work through the recruiting and that kind of business; but the planning of the study, the executing–everybody goes into the field–everybody is involved in understanding what the objectives are and laying those out, everybody is involved in regular reports to the executive board that check in on this process as we’re going along, everybody is involved in running the study, so everybody goes into the field. Usually we have me or another researcher leading it, but one of the product people or designers is there as the co-researcher. We all get together and do the whole affinity diagramming and understanding what we’ve learned, extracting the trends and insights. Steve: That’s a much happier narrative than the dramatic one that I was constructing. Carol: [Laughs] Yeah, it is. It’s a pretty happy narrative so far. Carol: I just don’t see the point in going out, especially for field research–even when we’re doing on-site visibility testing, everybody is in the room. We have a researcher in the room with a participant and also, again, one of these co-researchers who’s from productive or design, etc., but we’ve got all these other people in the observation room watching and we’re building the affinity diagram during the study. So, by the end of a day or two, everybody is together, everybody is on board. It sounds more “Kumbaya” but let me put it this way: it works pretty well because this is a very collaborative environment–like seriously collaborative and fairly non-competitive in a really good way that I haven’t seen at every company I’ve worked in, that’s for sure. But I feel like what you’re describing, and it’s certainly consistent with what I see out there talking to people, is that there is a real interest and a real hunger across the disciplines for understanding what’s going on with people so that we can all do a better job together. Steve: –But I think maybe it’s one of the consequences of just my age, is that I remember some of the “bad ‘ol days.” The world has moved on and a lot of those problems where we dug our heels in what felt like the early days just aren’t there. It’s not trivial to do what you guys have done and establish that kind of collaborative culture and then put a program in place, but it seems like the conditions are there in workplaces in general where that could actually happen, and there was a time when you would be winning an Academy Award for what you just said, it was so in a new category that I just created. Steve: I think you and I have similar times in the profession. Do you see that we’re in another era from when we all started? Carol: Oh my God, yes. It’s funny, because I remember I worked for one company, which shall remain nameless, years ago and that was when we were still called human interface people, or human factors or whatever, and we couldn’t even get into the field. It was like a battle getting into the field, and it was an enterprise product, so it wasn’t like you could go to a panel company and get participants–we needed these business people and it was really hard to get out. But the other thing that’s funny, I’ve been reflecting on this lately–my career began in probably a really odd way because my first job in college, I was a senior, I wasn’t even in graduate school yet, and I worked for Honeywell, and it sounds so ancient [laughs] but we were making training simulators for F16s or something. The reason I’m telling this story is that we had all these interns, me and like six others who were undergraduate or graduate students in psychology, and we were working with a subject matter expert from the air force and a programmer from Honeywell, and there was somebody else, there were like four people on these teams. We each had a section of the airplane that we were responsible for and we worked together–all of us sat in a room. These air force guys would come from Arizona or something for like six weeks at a time and we’d work on this thing and then they’d go away and we’d develop something and then they’d come back. I just thought that was normal. It’s like when you’re a little kid and your family is a certain way and you think that’s normal, then you go off to other people’s houses and you realize that other houses operate differently. My career started with this totally collaborative team thing happening, so I thought that was normal, and then I got other jobs where that wasn’t the case. It wasn’t until the internet like fifteen years ago, so a few years later then, that collaboration became the way to just do things. So yes, I’m seeing exactly what you’re seeing and maybe more. Steve: I wonder–if this was a podcast about some other part of a business operation, like HR or accounting–I wonder if what we’re describing is just a shift in the western workforce and professional cultures or if it’s specific to our field, which is still very young. Carol: It’s hard for me to answer that because Edmunds is this freakishly collaborative place. I mean, you’ve been here. For example, we have this experience team that I’ve never seen anywhere, with these really awesome people that can just make anything happen. In fact, one of them has become our chief recruiter; she’s amazing, she gets these participants just by talking on the phone to these people. I’m probably in an extreme kind of environment for that kind of thing. Steve: But how great that there’s just so much thoughtfulness put into that. I took that as an indicating characteristic of your workplace culture. Steve: Since you mentioned recruiting, maybe I’ll use that as a pivot here. Can you talk a little bit about who else does research, who’s on the team that you manage? Carol: We are in the process of backfilling. We had someone on the team for three years, so we’re looking to replace him now. There was a period when Michelle, who’s my counterpart, was on the team and she shifted to be her own team. As far as the people that report to me, it’s me plus a researcher. We have a coordinator that we’re also hiring, and that’s somebody that’s going to do recruiting and work on another area of the company and that person is going to report to our VP of user experience. Then the other people doing research are in other organizations–like our brand strategist is doing a lot of brand research, and marketing is doing ad studies. So, the other people are the ones we coordinate with. Steve: What do you look for then when you talk to people? I’m thinking about the backfill example that you mentioned. 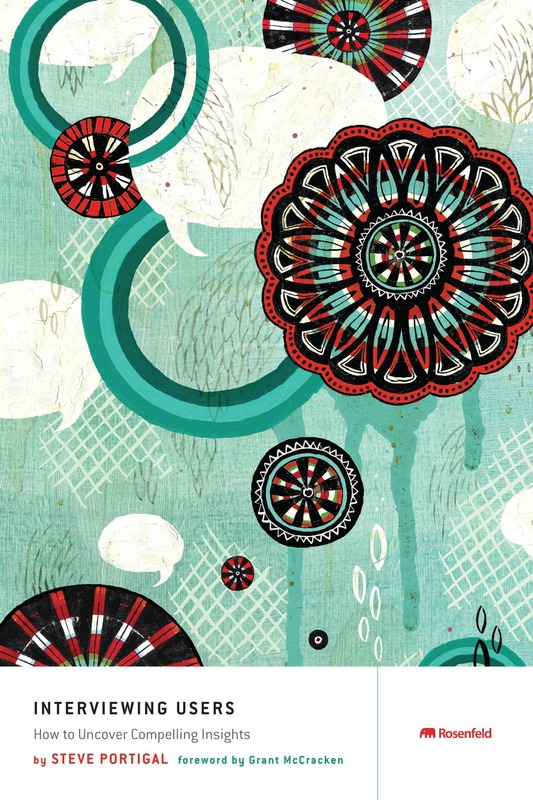 So, you’re looking to bring someone in that role–what do you look at when you talk to candidates? Carol: I’m looking for somebody who, because we’re what I call the “small but mighty team,” that can really take the lead. The title is senior user experience researcher, so we need somebody who can move forward, who can work really comfortably, somebody that plays nice with others and also has enough attention to all of the logistical details that you have to pay attention to to be his/her own project manager in terms of making things happen. We need somebody who can wear a number of hats–so, field research, usability studies, some light surveying, some attention to quant., although you don’t need to be able to do big analyses. Because we’re a pretty compact team, we need somebody that can do a lot of things but really focus mostly on qual. and being able to lead a project. Steve: I was speaking to somebody today at lunch and they made one of those declarations that they acknowledged they couldn’t back up, and it was an interesting hypothesis. They said “I think you can get away with being a crappy researcher longer than you can get away with being a crappy designer.” It led me to think, in the situation we’re talking about, you meet a candidate and you’re thinking about not only all these hats but that this field research piece is important. How do you assess somebody in terms of that? Carol: I ask them to tell me very specific examples or stories about experiences in the field and how that’s led to specific products that have been implemented. How do they tell the story? Someone told us a story that was really compelling the other day in an interview, and it helped put me in the room with him and the participant, it helped me see a little empathy, but it also helped me see how he turned that into the product that he described that they made as a result of that experience. I’m looking for, first of all, the ability to tell the story because that’s a big piece of it. I’ve seen a couple résumés lately where I’m like “I know this person’s got some skills here, but the way that it’s being conveyed, I’m not engaged.” We have to be able to advocate for the stories we’re hearing in the field. Actually, I think I was talking mostly about shoppers but we’re also doing research with car dealers. So, it’s B2B and B2C. You need to be able to tell those stories and represent them and also role that up into insight and be able to take action. I’ve been asking people this question: “Tell me how you deal with feedback that you get,” like in a 360. We all get this positive feedback and then we get occasionally something that we need to work on. What I’m finding is that everybody says “I always want to work on it,” but the way they talk about it a little bit more, it tells me something about the character of the person. Steve: It reminds me a little of your point about “When we realize that not every family is like the one that we grow up with.” It just feels like those realizations about how you’ve defined the world around yourself continue to happen. Your story reminds me of getting stories from people about their fieldwork. I had somebody that dug themselves a hole; they were on a bad project and that was the story they had chosen to tell me. I think they were doing a good job, but they were basically hamstrung in a subcontracting gig that was wrong and shouldn’t have been sold. But to your point about how our ability to tell a story says something about us as researchers and as collaborators, I could see the person just following the story’s trail and it was just taking them down, down, down. I tried to lift them all the way out of it–”What’s another story you could talk about? Another project where things didn’t happen this way and you were given the resources to do your thing?” The poor person just could never get out of it. I guess that’s a good thing for me to have experienced in the interview because ultimately I didn’t end up working with them because you don’t want to see that happen, you don’t want that to happen in front of one of your colleagues, or your boss, or your client, or anything. I want to go back to something that you said when you were describing this point of evolution, which I think is really remarkable. You talked about how this integrated team is first handed a business question and comes together to figure that out. Do you think that this integrated team–I don’t know what to call it–but all of you who are kind of doing this design thinking basically to be innovative, is there a role in that team to be identifying other business questions? Carol: I just had this conversation with someone earlier today; not literally in that way, but just that we want to be open. You do research and you wind up with more questions as well as insights, so we want to be open at the end of this quarter to be able to say “Here’s what we learned and what we want to study as a result because we think it could have an impact on the business” and have that feed into the conversation about what the next quarter’s business questions is going to be. Steve: That’s nice. You answered that much better than I asked it. Steve: I knew there was a reason I would talk to you. So, maybe then there’s a bigger question that I’ve been thinking about, and I guess this is not speaking to you about Edmunds.com specifically, but Edmunds and the other places that you’ve worked and how you’ve seen the industry evolve. Maybe it’s the platonic ideal, but what do you think research does for a company? What is its benefit? Carol: It’s so variable from one place to another. What I want to think is that what research does is both create some way of thinking about the people that use our, in this case, website, service, app, whatever, as humans, as people that are trying to solve a real person problem. So, in terms of giving us empathy for the people that are our customers, and again I mean car shoppers or car dealers. I hope it does that. I hope it also expands the business and gives us some sense of pain points that these people are experience that can be business opportunities. Steve: And making that connection. Carol: Making that connection so people aren’t just statistics and the business isn’t just operating based purely on intuition without people data. The fact that there’s a big emphasis on ethnography now–this is a very quantitative company and they’ve been looking at big numbers for a long time; Edmund’s website has 18 million visitors a month, so they’re used to big numbers. I think what research does for us right now, focusing on field work, is to make it really human through very specific stories that can balance the numbers. So, I feel like, yeah, both creating empathy and getting a human experience to the people on the other end of whatever we’re offering, and also to impact the business in a positive way. Steve: Part of what you’re describing the benefit of research is is it humanizes people, it takes them from data to being real people that we can empathize with. Why is that important to a business? Carol: I think it’s important to a business because we’re not just putting something out there. It’s not “If we build it, they will come.” We need to create something that somebody wants, whether we’re in a completely generative mode, like this thing doesn’t exist and we’re trying to figure it out but it fits a need somewhere along the way–there’s no reason to create something unless it’s going to fit a need because we want people to engage with it. So to me, unless you understand the story, “What’s going on in that person’s house? How does this iPhone app fit into their lives? Where are they using it? What are they trying to do there? What are they trying to do on the website?” I just feel like you have a very shallow picture of what’s possible. So, I don’t know that you can know that if you’re just looking at the numbers. Steve: That’s a great way of explaining it. Maybe I’ll switch topics a little bit again and ask you to talk about you. You gave us one formative story, or a story that may be formative for you, with this air force project. I’m wondering, if you look back at your own trajectory and what’s core to you as a person, what is it that makes you great at what you do now? You know, there was no internet when I was a little kid. I talk to my fifteen-year-old nephew and he’s like “What do you mean there was no internet?” So, I don’t know, I’m still kind of intrigued by the gadgets and stuff, I think it’s really cool. Otherwise maybe I’d be doing something else. I left the field for awhile, I thought I wanted to go to graduate school and get a degree in anthropology and become an academic, and then ended up coming back into it because I realized I like technology and I think it should be fun and useful for people and I want to be a part of that. Steve: That’s good. You’re “good-er” than I.
Steve: –There are many, many opportunities to do good and to approach one’s work to say “I’m going to do good at this and I’m going to improve things and enable other people to have something better in their lives,” it doesn’t mean that you’re getting rid of fracking or something. It doesn’t have to be the thing that keeps all awake, the worst things in the world. There’s lots of ways to shape the world around you that fall under the category of doing good. Carol: I think it took me awhile to get to that, but yeah, I agree. I think I had that pretty narrow view of it even though I consider myself to be that type. Someone asked me–I don’t know, it was about a year ago–about my service. “What do you do?” I had to think about that because where I live there’s a thing where you can and clean up the beach, there’s a thing where you can pick up trash, like trail cleanup day, and I never do those things. My answer on the face of the question was “Well, nothing,” because I don’t volunteer out of this or do that. But I started to think about other things that I do and I think sometimes we have to kind of search for that, personally. But I would suspect in our field people are drawn to it because that’s a thing that has meaning to them, that they are improving things. Carol: It’s funny, there are these personality systems, like there’s the Myers-Briggs, there’s one called DiSC, and there’s one called the Enneagram in which the type that I am is called “the reformer.” When you read about who that type is… this work draws a certain personality type for sure. Steve: “The reformer,” yeah. Can I ask you about your war story that you wrote for our series? Steve: For someone listening to this, what would you say to them to get them to go read your war story, which is linked right here. So, we meet and we go downstairs and we’ve got this $100,000 red convertible BMW or something and we’re driving through this really terrible neighborhood, this section of Hollywood that’s really not-so-great. We get to this guy’s apartment and it’s really dingy and it was quite an enlightening experience for Scott, my research partner. It was kind of a fun story. Steve: Good, and there will be a link to that for people to go and read more. This is totally me sucking up or setting you up to say what I want you to, but hey, I’m the host so I get to do that. Steve: What do you think the war stories project brings to our field or to people that are learning about it? Carol: Reality. It’s a total reality check. And some of them are not funny; some of them are quite… what’s the word… you really become quite pensive with them. But yeah, I think it’s reality. It gives somebody a flavor for what really happens and kind of everything else that happens–it has absolutely nothing to do with exactly what you’re trying to capture but that’s the person, that’s the whole picture. It’s kind of what I was saying earlier about making people human for your colleagues to get the stories. Yeah, sure it’s about how they bought the car and how they got the price and what they thought of the dealer and all that stuff, but what’s this guy’s living room like? He and his wife lived in this tiny apartment with a baby, and he looks forty-five-years-old and she looks like Gisele [laughs] and you’re trying to figure out the backstory. It’s the reality of the real human experience that goes with the business question and the product that you’re trying to develop and all of those things that are important. You can’t make this up. Steve: It’s interesting, those stories taken in the aggregate, all of them have extracted away any actual research content, but they sort of have distilled that element of the humanness of field research. Steve: What didn’t we talk about yet that we should talk about? Carol: This is nothing to do specifically with Edmunds but you were talking specifically about the evolution of the field–last week it was announced that fifteen community colleges in California are going to be able to offer BAs for the first time, because usually they only offer AA degrees but not BAs. The BAs were chosen based on the ability to train people in a field that’s important and relevant in the neighborhood of the college, and Santa Monica College was just awarded their first BA in interaction design. Carol: Yeah–wow. It’s kind of crazy; crazy good. It really points to–and we’re in “Silicon Beach” and companies are bringing themselves to L.A.–but it was pretty great for the field. I didn’t read in detail all the other schools and what they’re doing, but a lot of them are like, you know, dental hygiene–you need that, you need people to do that. But yeah, SMC got a program in interaction design, so that’s pretty awesome and a pretty good sign of the times, I think. Steve: Do they need instructors? Carol: Maybe. [Laughs] We will find out. Steve: Since you mentioned you like to teach. Carol: Some of us have teaching experience and that would be cool. Steve: We’re putting it out there now, so. Steve: Do you have any questions for me? Carol: Um… So, how’s it going? How are you feeling about your new series? This is fun. Steve: Yeah, well you’re someone I’m able to talk to after the series exists because the first few interviews were ones that I conducted before it was posted. So, there we’d be talking about the series in the abstract and now, as I’m talking to people, they’ve heard it. I’m enjoying it. I’ve been getting good feedback from people. Someone said something really nice to me the other day, they said “I wish you’d been doing this for five years so that I could have had all of those to go back and learn from,” which is sweet but also sort of an exhausting thought because I don’t know that I would continue to do it for five years. I mean, this project seems to make a lot of sense now, these are conversations that aren’t being had. We hear a lot about design, about user experience and design thinking, but we don’t hear a lot about research and how it walks and talks in the corporate environments. For me, it’s exciting because what’s changed over the last few years is that many, if not most, of the leaders in our field are in roles like yours and I think there was a time when those people were in roles like mine. But you and your ilk, if I can use that word, you guys are doing amazing stuff so I’m loving getting to hear these stories and hear from people. It’s one of these things where we’ll just see where it goes and what values it has for people. Someone said to me that they thought these would be interesting to people besides researchers, and I’m getting a little bit of that, other people listening to them. You gave this lovely articulation of what researchers can bring and I think we would like more people to hear that. So, if this draws a broader audience than just us–kind of “insider baseball stuff,”–then I think that’s good for everyone. Carol: Well, I think it’s evolving, it’s brand new. To me, it seems like the theme is that it’s evolving. Our understanding of the process and how we need to be and how we need to engage with the rest of the organization is evolving. It seems like nobody really has a set in stone process, at least of the people that I’ve heard you speak with so far. Steve: I would agree with that. But I think the evolution is tremendously based on where we all started. This is so much recursion: we’re now in an episode of a podcast talking about the podcast. I thought only Howard Stern could do that. Carol: [Laughs] Oh, geez. No profanity here though. Steve: Yeah, I think we have a clean rating in the iTunes store, we don’t want to lose that. Carol: Clean, no beeping, no beeping. Steve: Anything else or does that take us to where we want to get to? Carol: Unless you have any other questions. Steve: No, I’m really happy–I love this conversation. So, thanks for taking the time and for sharing all these stories and giving us a lot to think about. Carol: No, thank you. Thanks for doing this. It’s really great to be a part of it, I appreciate it. Carol: Alright, talk to you later.